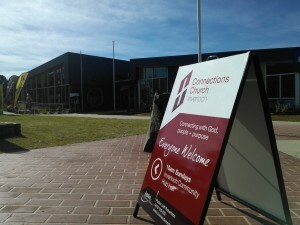 Welcome to Connections Church Inverloch! We’d love to meet you at one of our services – 10am every Sunday at the Inverloch Community Hub. You can check the “Events” section above for upcoming special events. You’re welcome to join us at our Easter services 10am Good Friday 19th April & 10am Resurrection Sunday 21st April.